Situated by the sea, this motel is within 1 mi (2 km) of Dickey Beach and Moffat Beach. Kings Beach and Bulcock Beach are also within 3 mi (5 km). Spending some time in Sunshine Coast? Take the time to stop by and see the Battery Hill district, located 40 kilometres south of the middle of the city. Those considering a visit to Sunshine Coast can enjoy taking in the Australia Zoo. Grab your towel, sunnies and thongs, and head out to Moffat Beach for a full day of fun in the sun. 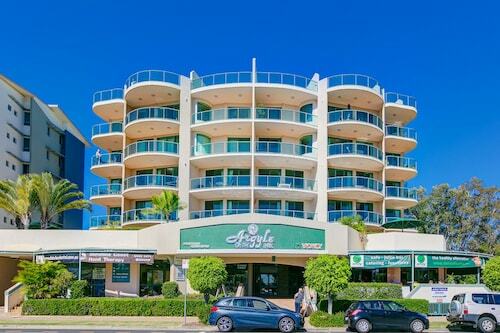 Consider the rates at the Aspect Caloundra and Rumba Beach Resort to be close by. Grab your sunnies, hat and towel, and head out to Dickey Beach for some fun in the sun. If this attraction is more your thing, consider the Sails Resort on Golden Beach and Monaco. Feeling peckish after walking around Battery Hill? 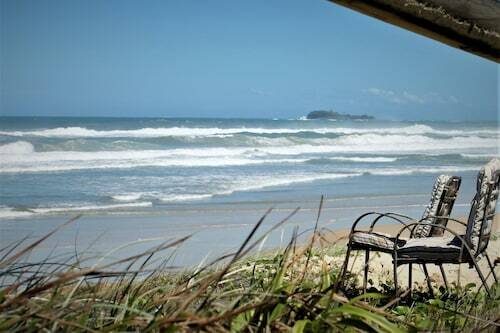 Sit yourself down in a cozy nook at Dicky Beach Surf Club. This well-recommended cafe has all the caffeinated drinks and tempting snacks that a worn-our traveller could need. As the afternoon starts tuning to night, you may like to stop by Currimundi Hotel & Motel. Enjoy a few cold ones, have a chat with the bartender and say g'day to the locals at this Battery Hill institution. If you and your travelling mates are struggling to find the ideal room in Battery Hill, check out the Dicky Beach hotels guide. Alternatively, the Wotif Moffat Beach hotels guide can sort you out. Wotif has your back, from car hire and activities to hotels and flights, when it's time to stop dreaming and start experiencing. How Much is a Hotel Room in Battery Hill? Hotels in Battery Hill start at AU$82 per night. Prices and availability subject to change. Additional terms may apply. Nice and close to the beach, cool to see the planes up so close as they come in. Friendly reception! Great location. Great cafes. Unit slightly older. Shopping centre not far away so possible to walk there.